It’s a given that the holiday and winter season is an expensive time of the year, and New York City in itself can get pretty pricey. All the eating, tipping, sightseeing, and shopping quickly adds up. It’s easy to cut back and figure out cheaper alternatives to shopping and eating at fancy places, but the one thing you don’t want to sacrifice are the activities — you came to NYC to experience NYC. Luckily, there are myriad things you can do that still provide an authentic experience without having to shell out the big bucks. From strolling through holiday markets to checking out winter festivals, here are eight free or relatively inexpensive things to do in NYC this winter. 1. 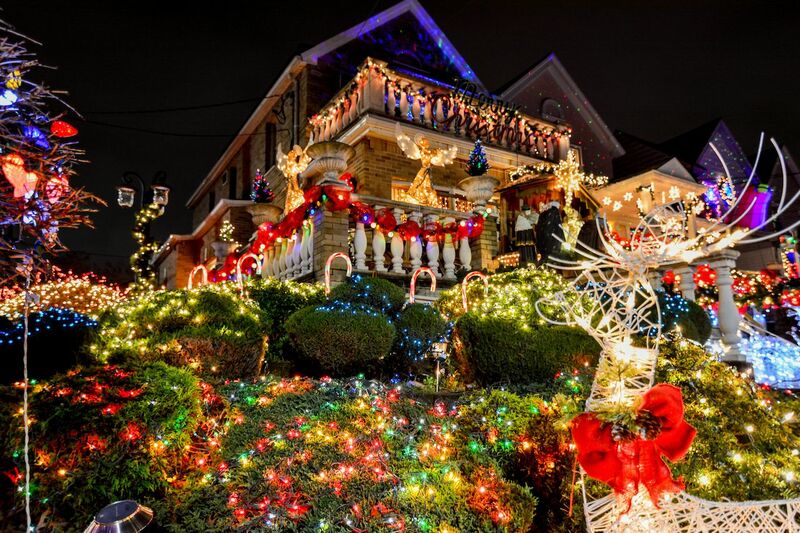 See all the Christmas lights on display in Dyker Heights. Instead of cramming your way through hordes of tourists on 5th Ave to look at holiday displays, head out to Dyker Heights to see local New Yorkers light up the night with dazzling displays of Christmas decorations. In this residential Brooklyn neighborhood, nearly every business and home is decked out in thousands of holidays lights and decorations. It’s so popular that there are even inexpensive tours that take people around the neighborhood to showcase all of the elaborate displays. The best time to visit is after it’s gotten dark out, so you can really see all the lights shine, and they’ll be up from now until January. 2. Hit up the Botanical Garden Holiday Train Show. Most of us either had a family that put up miniature winter village displays or knew someone who did. If you’re visiting NYC during the winter season, you can relive those memories up close and in person at the New York Botanical Garden. 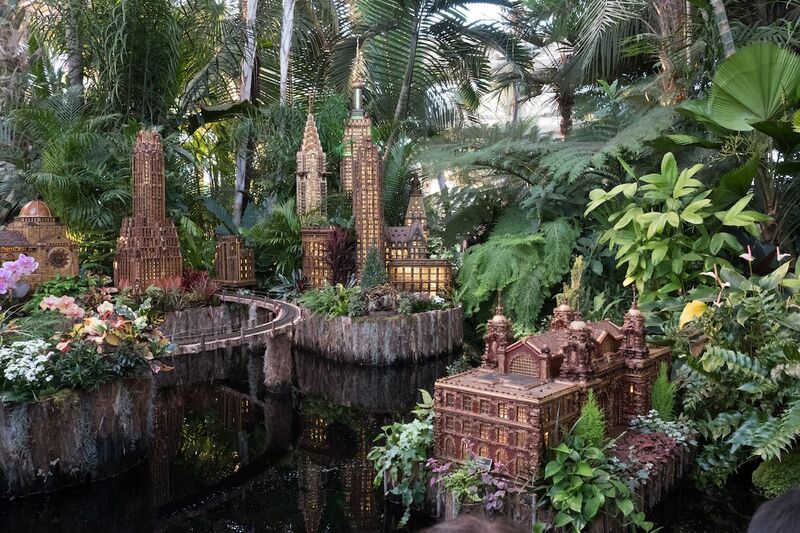 Every year, the Botanical Garden hosts its Holiday Train Show, where the garden is set up with an almost half-mile track that over a dozen large-scale model trains chug across. Lining the track are 150 miniature buildings and landmarks that are unique to the Big Apple. Landmarks include Yankee Stadium, Brooklyn Bridge, and the Statue of Liberty, and all are made from natural materials like bark and leaves. Tickets are generally under $25 a pop on weekdays and are more expensive on weekends (but grant you access to the entire Botanical Gardens), so be sure to visit on a weekday if you’d like to save some money. The Holiday Train Show is on from now until January 21, 2019. 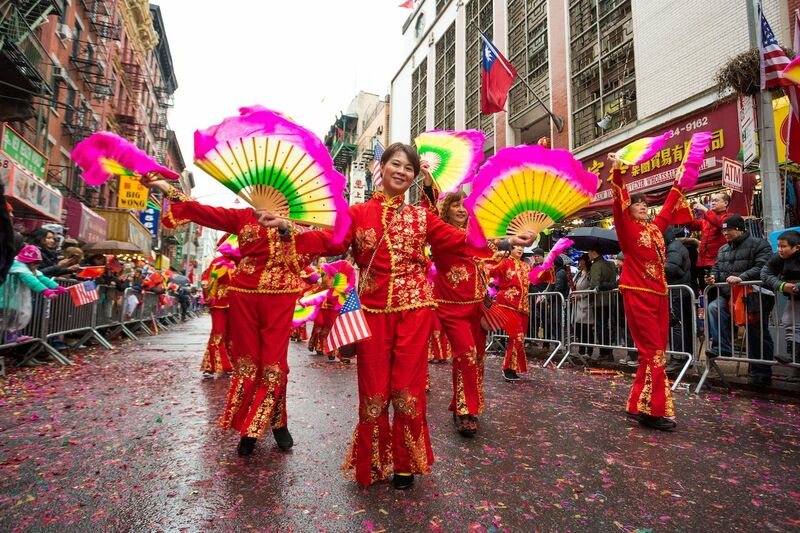 Chinese New Year in NYC is one of the best winter events to participate in. The date falls on a different day each year, but it’ll be February 5 for 2019. Head down to Chinatown during February and you’ll witness a fantastic celebration of Chinese culture. There’s the Lunar New Year Parade and Festival, which is a huge street party full of people, delicious food and drink, and a parade. Another option is the Firecracker Ceremony and Culture Festival, with fireworks, dragon dances, giveaways, and tons of food vendors. 4. 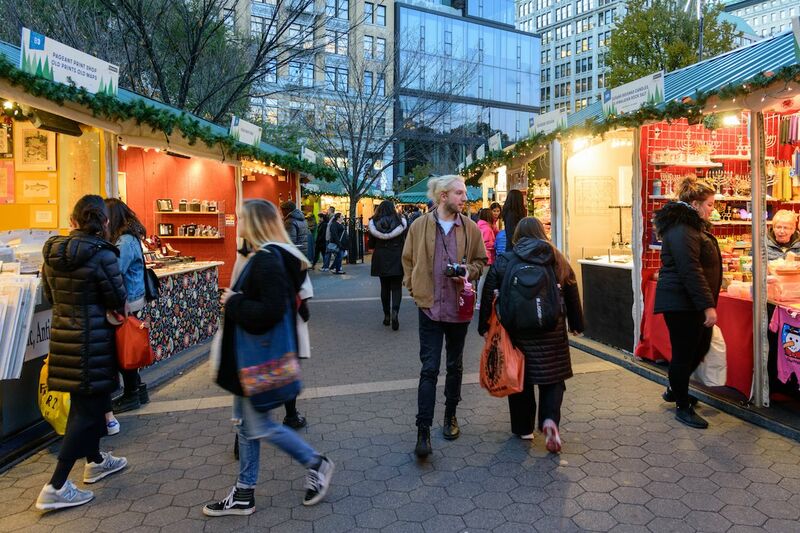 Stroll through the holiday markets. There’s no shortage of year-round markets in the five boroughs, but come winter it’s all about the holiday markets. They sell everything from various foods from around the world to crafts to gadgets to clothing and accessories. Prices range from low to high, but even if you don’t plan on buying anything, it’s fun just to walk around and marvel at the variety, picking up a hot apple cider and doughnut along the way. The markets add a special touch to the winter season and signify that the holidays are here. 5. Dress up as Santa and drink all day long. 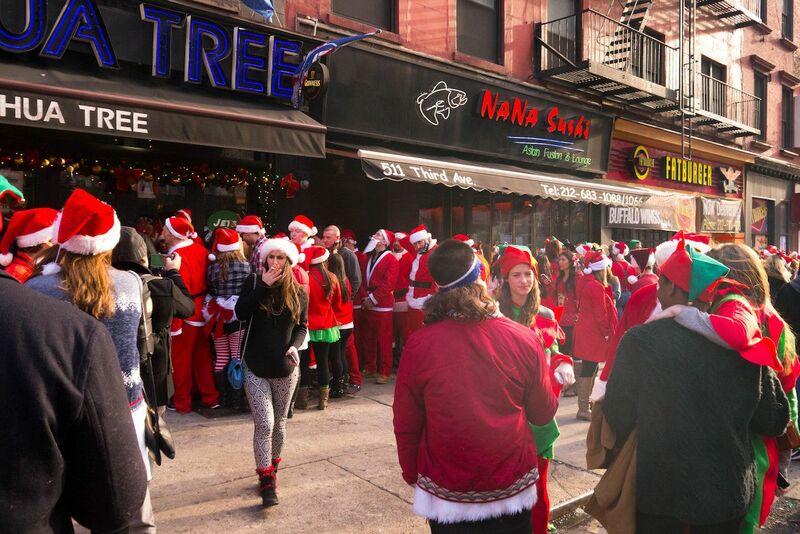 You may not earn the respect of jaded New Yorkers for participating in this rowdy bar crawl, but there’s no denying that celebrating Santa Con is one of the most fun experiences of the season for anyone that loves to day drink. Once a year every December, crowds of revelers dress up in the stylings of jolly ol’ Saint Nick and go from bar to bar, drinking to their heart’s content thanks to affordable specials. This year, the event is on December 8th and will start at 10:00 AM. Half the fun is not knowing exactly where you’ll end up and following the horde of Santas as the organizers send out updates throughout the day. If you receive the ire of any locals during your crawl, maybe remind them that besides being a day full of red and white debauchery, the event raises money for charity, with all participants being asked to donate $10 to one of Santa Con’s listed charities. If you donate, you’ll receive a Santa badge that’ll allow you priority entrance to all of the venues. 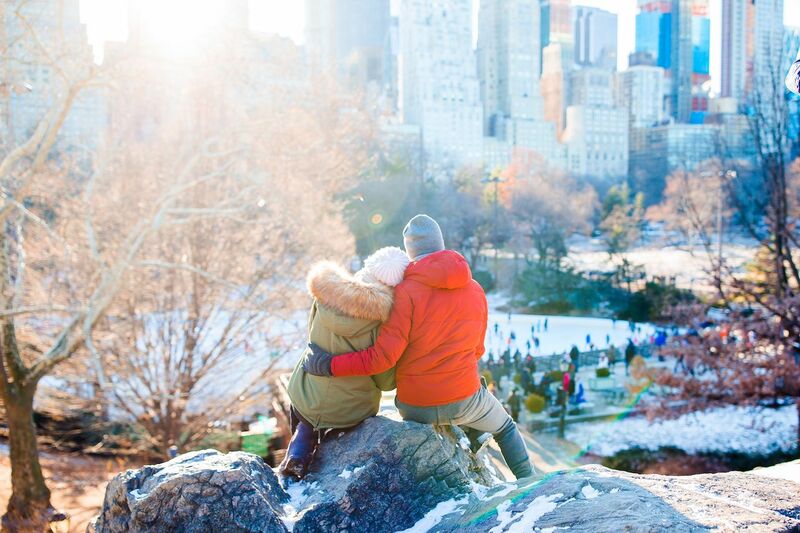 While being outside may not be the first thing you want to do in the winter in NYC, it’s worth the frosty toes. If you’re lucky enough to visit when it snows, you’ll feel the city transformed. It’ll be everything you’ve seen on TV and in movies: bright lights, sound everywhere, and a magical, festive feeling that even the MTA can’t shake. There’s a number of things you can do while still being fiscally responsible, like walking through one of the many parks, sledding, learning how to snowboard, and even ice skate for less than $15 if you’re willing to skip Rockefeller Center in favor of rinks in the outer boroughs. 7. Laugh your way through the night. 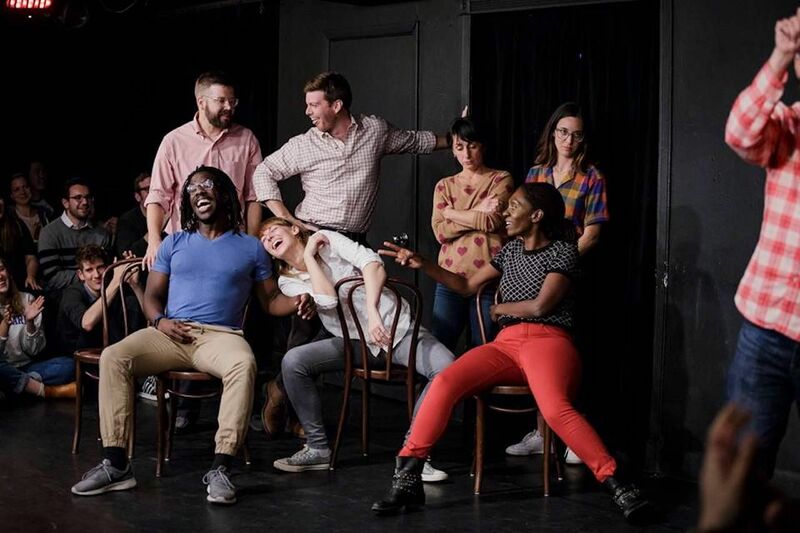 The Upright Citizen’s Brigade is a comedy and improv group with theatres in LA and NYC where people of any skill level can perform or take classes. A number of famous actors and comedians have passed through the UCB walls and make appearances from time to time, with one of the most notable being Amy Poehler, who was one of the founding members and part of the original group. The size of the acts vary: You might be listening to one person for the night or see large groups rotating on and off the stage — it all depends on when you go. Prices are relatively cheap, and you can see a good show for as low as $5, all whilst staying warm indoors. 8. Catch a Broadway show. 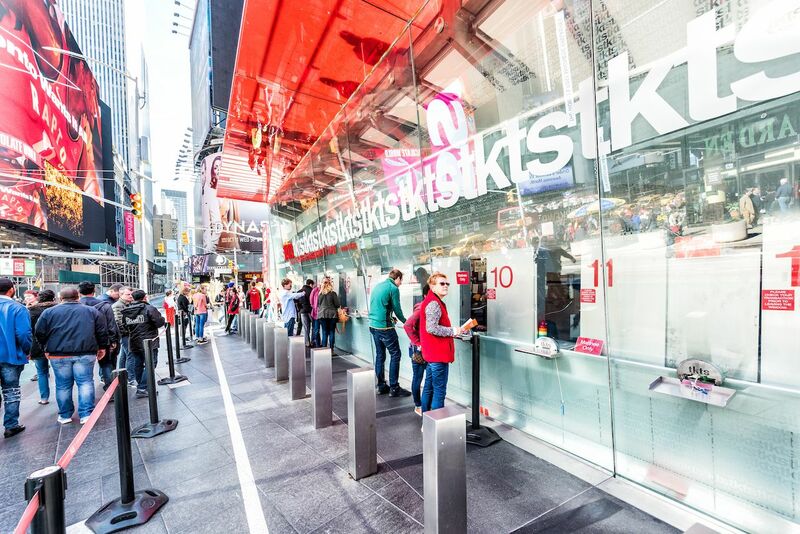 Seeing a Broadway show is an iconic NYC experience that everyone should have at least once, and while it isn’t always the cheapest activity around, it doesn’t have to break the bank. Several different options are available to help you avoid paying into the three-digit range, like rushing a show, purchasing day return tickets, and entering a lottery. However, if you don’t want to leave it up to chance or stand outside in the freezing cold this winter, you can guarantee success by looking into Broadway Week. Every winter, for a week straight, people can purchase two-for-one Broadway tickets — that means you buy one, you’ll get a second free. Split the cost of the first ticket, and you’ve brought that $60 Aladdin ticket down to $30 each. It’s usually sometime between January and February, and details will be posted here.